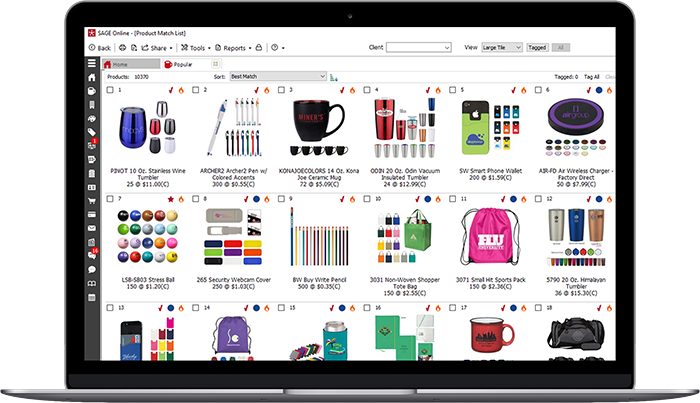 As the leading provider of software and solutions to the promotional products industry, we are here to connect you with distributors looking for your products -- over 45,000 distributors to be more precise! If you are not already listed in SAGE, the first step is to apply for a supplier listing through our application. There is no cost to getting your company and products listed in the SAGE database. After you’re approved, here’s how you can provide us with your product information! Already listed in SAGE? Here are a few easy ways to update your product information! Update your product information by the next business day with our FastTrack service. This spreadsheet-based process is the fastest and easiest way to update your catalog! With FastTrack, you can download your current product listings in Excel format, make changes, and re-upload them to the SAGE Supplier Center for priority processing by the next business day. As a valued SAGE Advantage member, you have the ability to review, update and verify your supplier information and products in real time using the SAGE Supplier Center. You can access the SAGE Supplier Center at any time throughout the year to update pricing or other information on a product-by-product basis. Many distributors will ONLY search for products that have been verified, so it's important to make sure that you have verified all of your products. Perfect for larger supplier companies with IT staff, this full-featured API integrates seamlessly into your own system and gives you complete control over your product information. It also gives you the ability to post inventory levels, add order tracking and more! Contact your supplier account executive for more information about SAGE Direct Connect . Send us your 2019 product info and our content specialists will update your information for you. NOTE: If you need your information to be updated in real-time or an expedited basis, please choose one of the other options above. Use the chart below to compare the four ways to update your catalog and decide which method is best for you! Looking to get the most out of SAGE and bring in more business? Consider all the benefits of a SAGE Advantage Membership! For $495 a year, you’ll have more opportunities to grow your business! Only Advantage Members can advertise in our software, so you can boost your brand recognupdition and separate yourself from the competition. Advantage Members also have the ability to verify product information, increasing their chances of showing up first in search results.